The role of a pitch﻿er is very crucial to a game because it is the with the swing of the pitcher that a play will start. Pitchers are the most important defensive players in the game because their goal is to make sure that the batters retire and not score a base. 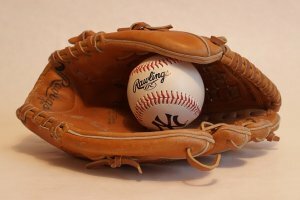 Now, most people just think of pitching as throwing the ball to the catcher and hoping that the batter will strike out. It is not as simple as that. Being a pitcher requires both asthetic skills and smarts as well. If you have a very capable and smart pitcher in your team, then even batters with the best softball bats will not be able to hit his swings. Here are some of the skills that a good pitcher has. First, a good pitcher has good communication skills. Since this is a team game, then teamwork is essential to win a game. This is especially true for a pitcher since he or she will be working hand in hand with the catcher. There are many different pitches that the pitcher can throw at the catcher. Before the pitcher would throw, he or she has to communicate with the catcher as to what kind of pitch he will use. A pitcher has to know how to control the speed of the ball. He or she must know when the pitch a fastball, a change-up, also known as a slow ball, or a curveball which is known as the medium speed ball. This way, batter will be confused a bit. He or she must always remember to spice things up a bit by throwing pitches at different speeds. Throwing pitches at the same speed will make it easy for the batter to hit because the batter will already perfect the timing. Aside from these pitches, a good pitcher must know how to pitch a ball that can change direction, meaning from straight, it can move up or down. Speed is something that batters can adapt to easily but movement is something difficult to keep up with. If a pitcher has a pitch that can change direction, then not even skilled batters with the bats can hit it. In order for a pitcher to wear down the batter, it is ideal to at least get a 1-2 count. If the pitcher can make the batter strike earlier, then the better. So, a good pitcher will make sure to finish things fast so that the game does not drag on for too long. If you are aiming to be a really good pitcher, then you need to perfect throwing an effective strike out pitch. Practicing a good sequence of pitches will help you be able to wear down a hitter and take him out of the game. When pitching, always remember to strike out the first batter of every inning. This is a very effective strategy that will spook the opponents earlier in a game and will also give your team a good lead as well. Team games are all about keeping the morale of the team alive so if you already get rid of the first batter, then you have already reduced the morale of your opponent’s team. So always keep in mind that the first batter of every inning is the most crucial one. The last tip is to never be complacent with two outs. Most pitchers will get complacent with their third pitch after they have made the batter strike two times. This is because their success in the first two pitches would make them overconfident. Always remember that it takes three strikes to make an out so never relax during the third pitch. In other words, don’t count your chickens until they hatch. Becoming a good pitcher is a journey that requires not only physical prowess, but mental prowess as well. A good pitcher needs to not only overcome the mental ability of his opponents, but himself as well. He or she has to know how to think critically and make fast decisions during the game. It is only through a lot of practice and a lot of studying that he or she can become a topnotch player.